Diamond-based quantum computing; verifying autonomous vehicles; autonomous racing. 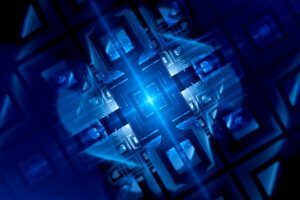 Quantum computers are experimental devices that offer large speedups on some computational problems, and one promising approach to building them involves harnessing nanometer-scale atomic defects in diamond materials. 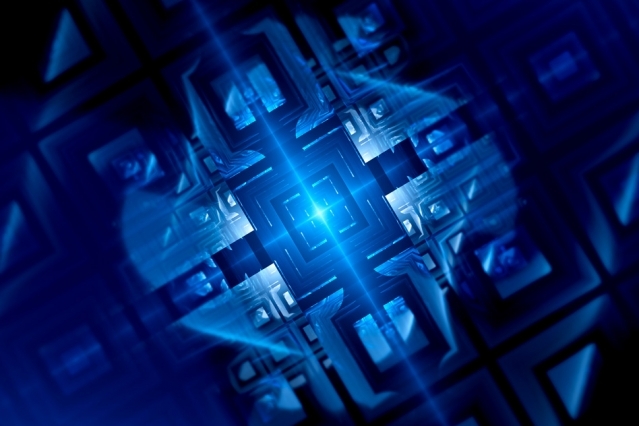 At the same time, practical, diamond-based quantum computing devices will require the ability to position those defects at precise locations in complex diamond structures, where the defects can function as qubits, the basic units of information in quantum computing. Now, a team of researchers from MIT, Harvard University, and Sandia National Laboratories has reported a new technique for creating targeted defects, which is simpler and more precise than its predecessors. In experiments, the defects produced by the technique were, on average, within 50nm of their ideal locations. “The dream scenario in quantum information processing is to make an optical circuit to shuttle photonic qubits and then position a quantum memory wherever you need it. We’re almost there with this. These emitters are almost perfect,” according to Dirk Englund, an associate professor of electrical engineering and computer science who led the MIT team. Still, quantum computers are largely hypothetical, but exploit the phenomenon of quantum superposition, or the counterintuitive ability of small particles to inhabit contradictory physical states at the same time. An electron, for instance, can be said to be in more than one location simultaneously, or to have both of two opposed magnetic orientations. Where a bit in a conventional computer can represent zero or one, a “qubit,” or quantum bit, can represent zero, one, or both at the same time. It’s the ability of strings of qubits to, in some sense, simultaneously explore multiple solutions to a problem that promises computational speedups, the team reminded. Diamond-defect qubits result from the combination of vacancies, which are locations in the diamond’s crystal lattice where there should be a carbon atom but there isn’t one, and dopants, which are atoms of materials other than carbon that have found their way into the lattice. Together, the dopant and the vacancy create a dopant-vacancy center, which has free electrons associated with it. The electrons’ magnetic orientation, or spin, which can be in superposition, constitutes the qubit. To this end, the most-studied diamond defect is the nitrogen-vacancy center, which can maintain superposition longer than any other candidate qubit. But it emits light in a relatively broad spectrum of frequencies, which can lead to inaccuracies in the measurements on which quantum computing relies. In the paper, the researchers used silicon-vacancy centers, which emit light in a very narrow band of frequencies. They don’t naturally maintain superposition as well, but theory suggests that cooling them down to temperatures in the millikelvin range — fractions of a degree above absolute zero — could solve that problem. To be readable, however, the signals from light-emitting qubits have to be amplified, and it has to be possible to direct them and recombine them to perform computations. That’s why the ability to precisely locate defects is important: It’s easier to etch optical circuits into a diamond and then insert the defects in the right places than to create defects at random and then try to construct optical circuits around them. University of Michigan researchers have developed a way to test autonomous vehicles that bypasses the billions of miles they would need to log for consumers to consider them road-ready. The process was developed using data from more than 25 million miles of real-world driving and promises to cut the time required to evaluate robotic vehicles’ handling of potentially dangerous situations by 300 to 100,000 times, as well as saving 99.9 percent of testing time and costs, the researchers said. Their approach is outlined in a new white paper published by Mcity, a U-M-led public-private partnership to accelerate advanced mobility vehicles and technologies. Basically, the accelerated evaluation process breaks down difficult real-world driving situations into components that can be tested or simulated repeatedly, exposing automated vehicles to a condensed set of the most challenging driving situations. In this way, just 1,000 miles of testing can yield the equivalent of 300,000 to 100 million miles of real-world driving, the team said. While 100 million miles may sound like overkill, it’s not nearly enough for researchers to get enough data to certify the safety of a driverless vehicle. That’s because the difficult scenarios they need to zero in on are rare. A crash that results in a fatality occurs only once in every 100 million miles of driving. Yet for consumers to accept driverless vehicles, the researchers said tests will need to prove with 80% confidence that they’re 90% safer than human drivers. To get to that confidence level, test vehicles would need to be driven in simulated or real-world settings for 11 billion miles. But it would take nearly a decade of round-the-clock testing to reach just 2 million miles in typical urban conditions. Beyond that, fully automated, driverless vehicles will require a very different type of validation than the dummies on crash sleds used for today’s cars. Even the questions researchers have to ask are more complicated. Instead of, “What happens in a crash?” they’ll need to measure how well they can prevent one from happening. Recognizing that autonomous vehicles and technology are the future, Purdue Motorsports has created an autonomous racing division to add to its current evGrand Prix program, which consists of a collegiate and high school racing season. The autonomous division of the evGrand Prix is a major technology step forward to engage the future of automotive technology, and enables the bringing together of advanced information technologies with mechatronics, which is technology that combines electronics and mechanical engineering, and electric vehicles. This event will be STEM, science, techonology, engineering and math, at the highest level, the group said. The series will be all electric and begin in May 2018 with remote control vehicles employing mechatronics. Purdue will partner with LHP Engineering Solutions and Bolton University in Manchester, England, to create the series.